Landfilling remains the primary method of disposal of municipal solid waste and building debris the world over. Advancements in technology have now made it possible to generate renewable energy from such never-ending waste sources. While the most popular method of converting landfill trash to energy is incineration, recent technological developments have led to other viable methods such as pyrolysis, thermal gasification, and plasma-arc gasification. The most popular way to generate electricity out of municipal solid waste dumped in landfills is by incineration. Incineration entails burning garbage to boil water and power steam generators that make electricity. While older incinerators emit harmful gasses such as heavy metals, toxic fly ash, trace dioxin and acid gas, present in the waste or generated during the burning process, into the atmosphere, modern incinerators meet strict emission standards and use lime scrubbers on smokestacks to neutralize the acids in the smoke. Incinerators have electric efficiencies of 14 to 28 percent, meaning this percentage converts to electricity. The remaining energy finds use only for district heating. Pyrolysis, or using heat without oxygen to break down organic materials present in the waste to produce combustible gases such as methane, complex hydrocarbons, hydrogen, and carbon monoxide. Biochar, a byproduct finds use as a fertilizer and to absorb carbon dioxide emissions from coal fired power plants. Thermal gasification, that is similar to pyrolysis, except for the presence of oxygen when burning waste. Plasma arc incineration, or the use of plasma-arc torch to produce extreme temperatures as high as 13,000 °F to break down wastes and form syngas, which produces electricity directly or converts to fuels such as ethanol, methane, and hydrogen. An alternative to burning landfill waste to produce renewable energy is mechanically processing waste to produce refuse-derived fuel (RDF). This process converts nearly 60 percent of the raw waste into solid fuel. Much of the residue consists of recyclable metals and bottles, paper and other fibrous material that disintegrates, and softened plastics. The anaerobic digestion of organic waste by bacteria present in landfill waste left undisturbed produces a significant amount of landfill gas comprised of carbon dioxide (CO2) and methane or natural gas (CH4). A series of wells drilled into the landfill help tap this natural gas. A biogas plant works on the same principle of conversion of waste into natural gas by the natural process of fermentation. This difference is that while methane capture is a natural process, biogas plants symbolize a more controlled setting, by placing waste and various types of bacteria in an airtight digester that produces biogas with 95 percent methane content. 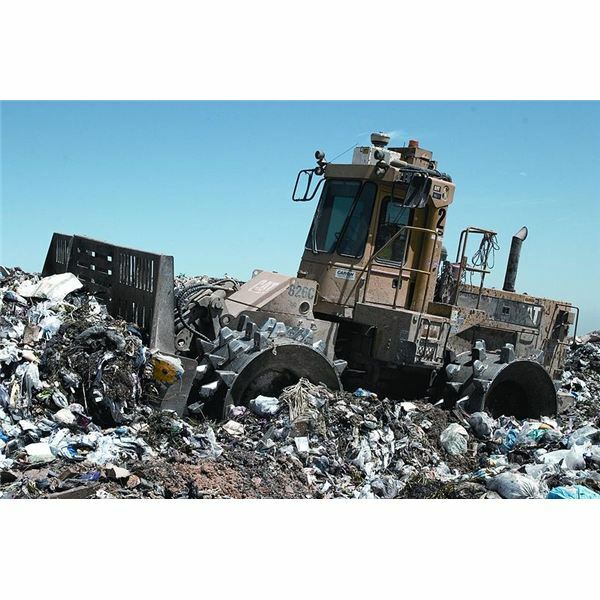 The concept of landfill renewable energy is receiving much attention in recent time since the cost to tap renewable energy from trash is much lower than the cost of harnessing energy from wind and solar sources. Most landfill waste, however, contains toxic substances such as chlorine, fluorine, bromine, and mercury, which when combusted in the presence of hydrocarbons can recombine into highly toxic dioxins and furans. This makes finding sites for new landfills harder. More and more residents adopt a NIMBY, or not-in-my-back-yard, approach to oppose establishment of new landfills near their vicinity. Landfill NIMBY makes establishment of new large scale landfill renewable energy plants difficult. The Cleantech Report. Waste to Energy.